We Love Colors received these photos from the young actors in New Bern, NC for their participation in the production of Little Mermaid. 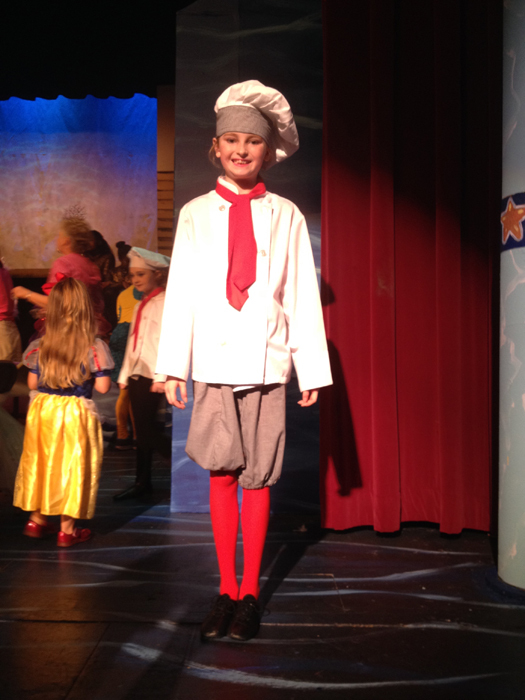 Chef Louis is wearing red microfiber tights. 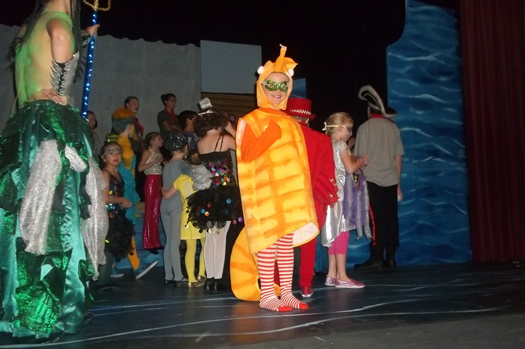 The Seahorse is wearing striped orange/white tights, and the Ray Fish is wearing gray leotard and microfiber tights. All costumes were created by grandparents! Dianne, grandma who sent us the photos told us "These costumes were all made by parents (grandparents) and I purchased the tights which went perfectly with the costumes. They have lasted through several weeks of dress rehearsals and 14 shows without a tear, snag, or run! I Just know they will make it through our Halloween under the sea party for our Little Princesses."